Your Application Has Been Submitted to PsychicTone. 1. PsychicTone has received your application. You can expect to hear back from them within 1 week. 2. They’ll be contacting you from info@psychictone.com. If you don’t see their message within 1 week, please check your spam folders. 3. Please note: PsychicPRO Job Center is a Job Posting Board where employers post their positions for Lightworkers. We do not make the hiring decisions. If you wish to contact the hiring company, please look for their information on the job post ad. 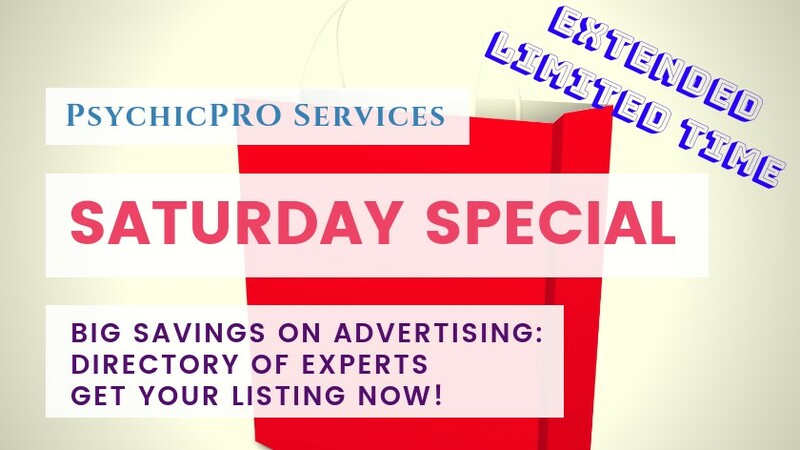 Are you included in the Directory of Experts yet? If not, make sure to join! Make sure to review other jobs in the job center. Each position is hired by different companies, so apply for each position you wish to be considered for.